See 12 bullet journal August cover ideas that look really beautiful. 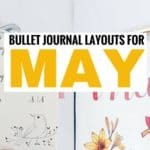 If you’re looking for some really creative bullet journal cover ideas for the month of August, you’ll be glad you came here. Sometimes, we lack ideas of how to design our own bullet journals and having a look at some new ideas can spark some amazing inspiration. 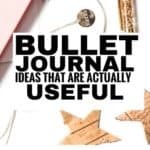 Before you continue reading about and viewing these amazing bullet journal august covers, these are some of the products I recommend for bullet journaling. They’re the absolute best and my bullet journalling experience wouldn’t be the same without them! The lettering on this one is amazing. If you love hand lettering and simple colors then this is a great spread to check out for inspiration. Sometimes a little brightness is the perfect touch to your bullet journal. If you’re looking for this kind of inspiration, this title page with habit and step trackers are what you need to be checking out! This cover is simple with only a few colors, but, it looks so go if you’re going for a more minimalist approach in your bullet journal. This cover is the perfect start for your August planning! Love rainbows and bright colors? 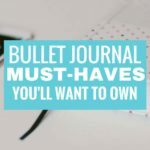 This bullet journal cover will be the perfect idea for you! Peacocks and quotes anyone? This cover is super simple and looks absolutely amazing. Check it out to inspire your summer bullet journal cover for August. This coffee themed cover is very unique and creative. If you love this look, then you should definitely use it to find inspiration for your august bujo cover. This beautiful floral design is a great idea for you bujo cover if you enjoy and are looking for flower theme for August. You can also choose to add some more color if you enjoy color during summer! This is one of the simplest August covers you may come across, but, it’s so beautiful and captures the theme of summer so well! The August starting page is perfect for minimalist lovers. You can add any color you like and have a very unique cover. Super simple, super clean, super minimalist and absolutely gorgeous. This is a cover you MUST try in your bujo at least once! This looks really good and will make the perfect August cover inspiration piece. How cute does this look? If this is the kind of cover you love to see in your bujo, definitely check it out! Did you find anything that really caught your eye? Let us know in the comments and please are so others can get bullet journal august cover ideas for inspiration!